Aaron leads corporate initiatives focused on green buildings, zero-carbon communities, and energy system planning for new waterfront neighbourhoods, including the strategy for sustainable development at Sidewalk Toronto. He previously worked at MaRS Discovery District’s Advanced Energy Centre, and started his career in land development and utility construction at Mattamy Homes, North America’s largest private homebuilder. Rolf is the Managing & Technical Director of the OpenADR Alliance. In this capacity, Rolf oversees all aspects of the non-profit organization, the technical developments, and the certification program. Before going independent, Rolf was the Technical Manager for Telecom and the Global Competence Center for emerging communication protocols at a global testing firm. In this role, Rolf was involved in many international standardization efforts and guided the company's efforts in these areas. Rolf has been an active member of the NIST SGTCC, USNAP Alliance, ZigBee Alliance, and other organizations driving the development of new technologies with a specific focus on standardization, certification and interoperability. Rolf holds a Master’s Degree in electrical engineering. Vice President, Conservation & Demand Management, Alectra Utilities Corp.
Michael is a professional engineer and is currently the Director of Energy Projects with NB Power. He has worked for NB Power for 37 years with most of this time spent within corporate strategy and directing the Integrated Resource Plan. Michael’s work has contributed to the development of major supply and transmission projects as well as NB Power’s long term strategic plan. Currently, Michael is leading the development of new and innovative projects such as Micro-Grid Demonstration projects which combines solar and battery storage as well as other utility scale energy storage opportunities. Jerry joined Siemens in 2014 as a managing consultant advising electricity utility senior executives on transformational issues facing the sector. He is currently a Managing Consultant in the Siemens Canada Energy Business Advisory practice based out of Oakville, Ontario working with utilities across North America on grid modernization and micro-grid solutions and is responsible for developing partnerships and projects for distributed energy systems across Canada. His 18+ years of experience includes project management, engineering, strategic advisory and public policy, where his specialization has been in energy innovation. He is currently working on building strategic partnerships to implement distributed energy systems and micro-grids to provide onsite energy resources that can improve a client’s energy system efficiency, provide resilience and decrease their carbon foot print and greenhouse gas emissions. He has worked with electrical distribution utilities to develop strategies, business cases and programs for grid modernization. His energy industry experience includes managing a $50 million government fund for smart grid innovation, developing a provincial energy innovation strategy, and smart grid and electric vehicle policy. He has also advised C-suite executives in the Energy, Financial Services, Consumer Business, and Non-Profit sectors. Tanuj Deora is the Chief Strategy Officer of the Smart Electric Power Alliance, a not-for-profit organization focused on facilitating the smart transition to a clean and modern grid. 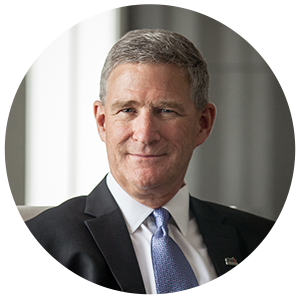 He joined the organization in 2015 to lead SEPA’s move from a solar energy focus to a broader utility and power sector transformation mission, and has led the research, programs, communications, and advisory services teams at SEPA. He leads the organization’s utility of the future initiative (www.sepa51.org) and has been a principal in Puerto Rico’s power system redesign efforts. Mr. Deora is a member of Advisory Boards for National Renewable Energy Laboratory in the past served as an advisor to the Rational Middle Energy Series, co-founded the Colorado Renewable Energy Conservation Collaborative, was co-chair of AWEA's Transmission Symposium, and served on the board of Renewable Energy New England. Mr. Deora earlier served in the cabinet of Governor John Hickenlooper as director of the Colorado Energy Office, was a strategy consultant with McKinsey’s Electric Power Practice, and served as a Peace Corps volunteer in Jamaica. He started his career as a design and research engineer in the chemical industry, leading innovation and product commercialization initiatives, and holds a degree in mechanical engineering from the University of Texas at Austin and an MBA from Harvard Business School. He now lives in Washington, DC, with his wife and two daughters. Ron leads all corporate partnership activity at the MaRS Discovery District. MaRS is a 1.5 million square foot innovation hub based in Toronto, Canada. As one of the world’s largest urban innovation hubs, MaRS works with over 1,000 companies across multiple sectors, helping them to scale their businesses. In this role, Ron works with a broad range of globally significant corporate partners, creating pathways to market for MaRS’ ventures and working with our partners to improve their abilities to unlock their own capabilities to adopt innovation faster. Ron joined MaRS in July 2014, to help found and lead the MaRS Advanced Energy Centre as its Managing Director. The Centre works with a diverse group of public and private partners, to accelerate the adoption of innovative Canadian clean energy technologies into the energy ecosystem. The organization works across the entire energy sector, taking a holistic and systemic approach in removing barriers to market entry, scale-up and export. Ron is recognized as a thought leader regarding the clean energy opportunities that lie within the evolution of the modern power system. Based on his well-respected perspective on the smart grid, he was recruited to the executive committee of the board for both the Ontario Energy Association and the Association for Demand Response and Smart Grid. He is also elected chair of the Corporate Partners Committee of the Ontario Smart Grid Forum. Prior to joining MaRS, Ron was the President and CEO of ENBALA Power Networks, a leading smart grid technology company offering grid optimization services to utilities and system operators by harnessing the capabilities inherent in the demand side of the electricity system. Ron holds a degree in Industrial Engineering from the University of Toronto. Philippe brings over 25 years of experience focused on a single passion: building an efficient, sustainable energy future. His firm advises governments and utilities across North America on strategies to responsibly accelerate the ongoing energy transition, with a focus on energy efficiency, renewable energy, and clean mobility. His clientèle spans the governments and utilities of every Canadian province, bar none, in addition to those in more than a dozen U.S. states. His firm of 20+ experts has been proudly supporting NB Power’s energy efficiency efforts for many years. In his spare time, Philippe acts as Co-Chair of Efficiency Canada, the leading voice for energy efficiency in the country. He also sits on the Government of Canada’s energy thought leaders’ council, Generation Energy, and on the Government of Quebec’s Climate Change Advisory Council, among other appointments. He also spent 10 years on the Governing Council of the FCM’s Green Municipal Fund. Fluent in English and French, Philippe shares his life in Montréal with his partner Allison, their two kids Laïla and Amiel, and Valentine the turtle. Herb was formerly the Research Director and Program Director, Health Policy at The School of Public Policy at the University of Calgary. He has also been the Svare Professor in Health Economics, a joint appointment with the Department of Economics and the Department of Health Sciences, Faculty of Medicine at the University of Calgary. From 2010 to 2015, Dr. Emery was the Editor of Canadian Public Policy, Canada’s foremost journal examining economic and social policy. His research interests and publications are focused on regional economic development, Canadian economic history, labour economics and health economics. Caleb is the founder of Mbissa Energy Systems, an Atlantic Canadian-born organization that brings sustainable electricity to remote, poor communities in rural West Africa. With over a decade of experience working between Canadian and African cultures, Caleb has known the struggle and reward of forging deep bonds of partnership in difficult - and often volatile - situations. Since Mbissa Energy's inception in January 2015, Caleb has worked with rural Cameroonian communities to create affordable and maintainable solar installations. These systems and processes have matured to ensure that solar development in these communities may continue indefinitely without outside intervention. Over the last three years, Mbissa Energy's technicians have performed dozens of installations affecting thousands of people through light, communication, health-care, micro-business and many other areas of growth. Caleb's interests go beyond energy with a passion for cross-cultural work, an enjoyment of sports (better luck at the next World Cup, Africa! ), and a hand for all sorts of building and tinkering. He holds a Bachelor of Science in Mechanical Engineering and a Master of Science in Engineering, Technology Management and Entrepreneurship from the University of New Brunswick. He has recently had the privilege of taking Mbissa Energy Systems through the first Energia Ventures cohort. 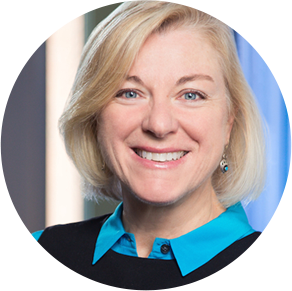 Katherine Hamilton is Chair of 38 North Solutions, a public policy consultancy specializing in clean energy and innovation. Her firm also manages a non-profit organization, Project for Clean Energy and Innovation. Previously, she ran the GridWise Alliance, was policy director to the Energy Storage Association, and served as an advisor for Good Energies, a private equity company with a clean energy portfolio. 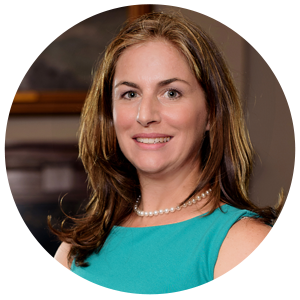 Katherine directed American Bioenergy Association, developing renewable portfolio standards in states legislatures, including Maryland and New Jersey. At the National Renewable Energy Laboratory (NREL), Katherine worked in buildings research and government relations. Katherine spent a decade at an investor-owned utility, designing electrical systems for commercial and residential developments. Katherine holds degrees from Cornell University and the Sorbonne. She was appointed an Ambassador to the Secretary of Energy’s C3E Program under the Clean Energy Ministerial; is a co-host of The Energy Gang podcast through Greentech Media; serves as President of the Board of GRID Alternatives Mid-Atlantic; and is Co-Chair of the World Economic Forum’s Global Future Council on the Future of Energy. As Interim Executive Director of QUEST (Quality Urban Energy Systems of Tomorrow), Tonja leads the organization to connect, educate and influence governments, utilities & energy providers, the development community, and solution providers to grow the Smart Energy Communities marketplace. Having been with QUEST since its inception in 2007, Tonja has played an instrumental role in establishing QUEST's extensive national network and ensuring QUEST is known in the industry as a leading thinker on the energy transition and implementer of Smart Energy Communities. Danielle is the Director of the Data Science team at T4G Ltd, where she concentrates on the creation and implementation of industrial artificial intelligence programs with demonstrable, real impact. She helps clients transform raw sensor data into new insights and data products aligned with their business goals. Undeterred by the messy, difficult world of raw sensor data, Danielle is passionate about calibrating sensor (“IIoT”) data and keeping it in context. Working with architects, data engineers, developers, and visual designers, she adapts research approaches and machine learning methods as needed over the life of a project. Her professional background includes energy, retail, healthcare, and government, and she has worked with quantified selfers, biohackers, hacklabs, and makerspaces. She is notoriously unreadable to GSR wearables. In her previous life, Danielle worked with the world’s most sophisticated wearable to date, the hearing aid. Currently, she focuses most of her time on artificial intelligence programs in the energy sector. Michel is the Director of Customer and Community Engagement for New Brunswick Power Corporation and member of the Board of Directors for the Smart Grid Consumer Collaborative. Michel is a graduate from the University of New Brunswick in Mechanical Engineering and a member of the Association of Professional Engineers and Geoscientists of New Brunswick. Michel has a broad exposure of the utility sector with extensive experience in customer service and community relations, corporate reputation and media relations. He served as Regional Manager in Customer Service and Managing Director of Corporate Communications. Most recently, Michel was the Program Director of the award winning “PowerShift Atlantic” project; a Smart Grid project focused on collaborative and innovative solutions, engaging customers and leveraging new smart grid - energy storage technologies to better integrate renewables such as wind in the Maritimes. This was a new experience for customers as they played an active role in renewable integration. Michel has been actively engaged in the ongoing utility sector transformation with a “customer centric” focus. He is a frequent speaker at energy conferences on the topic of Smart Grid transformation. He recently presented at Grid Edge 2015 as NB Power received an award as a GTM Top 20 Disruptor in the utility industry. As well, NB Power has recently received the Smart Grid Canada “2015 Innovation Award” for Canadian Utilities. New Brunswick Power is focused on a transformation towards grid modernization and bringing new “value-added” energy solutions while working in partnership with our customers and communities. Since 2015, Stephen has been the CEO of Opportunities NB (ONB) the provincial crown corporation where he leads a team of experienced professionals to deliver a broad mandate to grow the economy. ONB is bringing new money and new jobs to every corner of New Brunswick and generating a positive return on investment for all New Brunswickers. With Stephen’s leadership, ONB has consistently exceeded results, is outperforming every other Canadian economic development agency jurisdiction on a per capita basis and has been named one of Atlantic Canada’s Top Employer’s for two years in a row. Stephen has a track record of success. As CEO of Nova Scotia Business Inc. for over a decade, he consistently surpassed targets, assisted in the revitalization of Halifax’s downtown core, and played a key role in the province being dubbed the best-performing region in North America in attracting inward investment. Stephen’s hard work and commitment to excellence has not gone unnoticed. Stephen has been recognized by Atlantic Business Magazine as one of the Top 50 CEOs in Atlantic Canada five times in a row, was added to the list of the top 500 most influential people in Financial Centre worldwide, and has been inducted into Atlantic Business Magazine’s CEO Hall of Fame. Stephen earned a prestigious X ring from St. Francis Xavier University, holds an MBA from Queen’s University, obtained an ICD.D from the Institute of Corporate Directors, and completed executive level studies at Harvard. Marco currently works as a strategical advisor communication and innovation, spin doctor, guest speaker, moderator, chairman and presenter. In 1996, he founded his company Connected Strategic Change Processes. The company is intensively involved in the area of water, smart mobility, smart city, Mobility as a Service, traffic and transport. He works nationwide and internationally. Marco: “My inspiration is to go global and conduct the survey, my vision and these results in other countries. As an organization we can provide strategic (communication) advice to all levels of government and accompanied business organizations. Guiding and giving advice to the different kind of projects in the field of Public Transport, self driving cars, cooperative systems, connected cars, smart mobility and smart city. We operate on the cutting edge of technology and human behaviour (people). By knowing and understanding the need (knowledge, attitude and behaviour) of stakeholders and the public, let them participate in the different kind of projects, you can not only create acceptance but also develop services and products that people want to buy”. Jim brings hands-on customer expertise and strategic leadership combining a deep understanding of the utility/customer relationship, technology and people required to produce sustainable positive change. A strategic, results-driven Senior Executive, Jim’s experience spans broad portfolios including: customer care, operations, international sales and marketing, supply chain and human resources. Holding senior executive roles in Utilities, Forest Products and Industrial Manufacturing sectors, Jim is a passionate customer advocate and skilled business leader with success driving and realizing large scale cost savings and improving productivity and performance, while growing employee engagement and customer satisfaction. Widely respected within his global client network, he brings a proven track record of cultivating deep and lasting relationships with customers, vendors and industry partners. 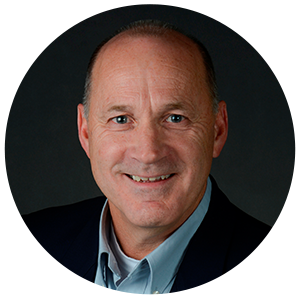 Active in Utility industry associations, Jim recently served as a Board member, co-chair and speaker of the 2015 Mobile Utility Summit. He was the Keynote speaker on BPO for Japanese Utilities at an Aug 2015 event sponsored by Accenture and attended by numerous Japanese Utility Executives. 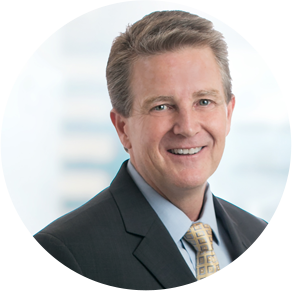 Jim was the 2013 Chair of the Western Energy Institute’s Spring Energy Symposium, serves on their Executive Planning Committee and the Customer Connections Board Committee representing customer needs within the Gas and Electric Utilities throughout Western North America. Prior to his retirement in late 2014 as BC Hydro’s Director of Customer Care he represented BC Hydro nationally as an active member of the Canadian Electricity Association’s Customer Council. Jim is a valued subject matter expert on topics relating to Customer Transformation, The Digital Customer, Conservation and Demand Management, Smart Meter Deployment and Integration and Process Improvement for large Utilities in countries around the world, which include; Japan, Australia, China, Philippines, Canada, United Kingdom and the USA. Andrew Noseworthy is Assistant Deputy Minister, Clean Technology with Innovation, Science and Economic Development Canada. He is also Senior Advisor to the President of ACOA (Energy and Special Initiatives). As part of his duties with ACOA, Mr. Noseworthy is responsible for the operations of the Atlantic Canada Energy Office, a partnership initiative between ACOA and Natural Resources Canada, based in St. John's with additional staff elsewhere in the Atlantic region. In addition to his work in guiding the Agency’s activities related to energy sector development, he has had several special assignments since joining the federal ADM cadre in 2003. In 2004, he acted as Special Advisor to the Minister of Health and Chair of the Task Force that oversaw the creation of the Public Health Agency of Canada. In 2005-2006 he was Special Advisor to the Minister of National Defence in examining alternative uses and closure options for CFB Goose Bay. More recently, he oversaw a review of ACOA’s innovation programs (2013-2014). Prior to joining the federal public service, Mr. Noseworthy had an 18-year career with the Government of Newfoundland and Labrador and held a number of senior appointments, including Associate Secretary to Cabinet, Deputy Clerk of the Executive Council, Deputy Minister of Intergovernmental Affairs, and Assistant Secretary to Cabinet (Economic Policy). As Chief Technology Officer and Vice President of Engineering for NB Power, Tony is responsible for Engineering, Information and Operational Technology, Project Management Office, Asset Management, Distribution and Transmission System Operations and the NB Power System Operator. Tony has been with NB Power for 29 years. Previous to his current role, Tony has held various Director and Executive Director positions within Distribution, Transmission, Project Management, and System Operations. He holds a Bachelor of Science Degree in Electrical Engineering from the University of New Brunswick and is a member of the Association of Professional Engineers and Geoscientists of New Brunswick, as well as a member of the New Brunswick Society of Certified Engineering Technicians and Technologists. 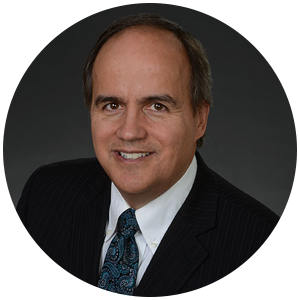 Tony sits on the Executive of Cigre Canada, is a member of the Board of Directors for the Northeast Power Coordinating Council (NPCC) as well as the Eastern Interconnection Data Sharing Network (EIDSN), and is a member of the CSA Strategic Committee on Power Engineering (SCOPE). For the last 10 years, Philippe has been advising Governments, utilities and project developers in the power sector in more than 20 emerging countries. He is currently the Principal Engineer of the Power Systems Development Department at the African Development Bank and leads the technical and financial structuration of public and private projects funded by the Bank. Prior to joining the African Development Bank, Philippe was the Associate Partner in charge of the Africa energy market for an engineering firm based in Montreal and led the design and construction of projects in generation, transmission and distribution. His expertise in power systems and renewable energy, including large-scale hydropower, has been acquired through his tireless involvement in major projects aimed to meet national and regional needs in emerging regions. Philippe is focused on the development of sustainable projects that have a positive impact on Africa and its people. Philippe holds a Master degree from École Polytechnique de Montréal and was the recipient of a scholarship from the Natural Sciences and Engineering Research Council. His research on network planning was sponsored by the Research Institute of Hydro-Québec. Martin is currently head of the research group "Cyber Security Service Innovation" at Siemens Corporation, Corporate Technology, in Princeton, NJ, USA. His mission is to provide Siemens business units with technology solutions and innovations that enable Siemens to provide state of the art security services to customers. A specific focus is on helping Siemens customers that operate energy systems and other parts of nations’ critical infrastructure to detect, react to, mitigate, and otherwise defend against cyber attacks. He is a researcher and research manager with Siemens Corporate Technology, Siemens' central R&D organization, since 2005. He held positions both in the US and in Germany, among them as global Head of the Siemens CERT (Computer Emergency Response Team). Before that he acquired a Ph.D. in Computer Science in 2005 from Paderborn University, Paderborn, Germany, working on fault attack side channels on smart cards, a topic that got him hooked on the field of IT and Cyber Security, a field that has not lost its fascination ever since. Blanca R. Perez is the General Manager of the Home and Business Energy Solutions team at Florida Power & Light. She is currently responsible for energy efficiency, field collections and meter reading. Previously, Mrs. Perez successfully led change management strategy and support for FPL’s $800 million deployment of smart grid technologies, including 4.6 million smart meters. She later established the function of change management as a shared service within FPL’s Customer Service business unit, increasing the business unit’s capacity for implementing change successfully. Mrs. Perez is a University of Florida graduate in Electrical Engineering. She is also a certified Six Sigma Black Belt and a Prosci® Change Management Practitioner. She has more than 25 years of experience in the electric utility industry and has held various management and analytical positions in Customer Service, Power Delivery and Regulatory Affairs. 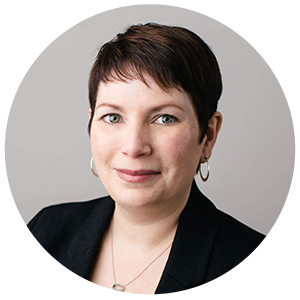 Cathy is an Atlantic Canadian IT leader who has dedicated her career to building the region's tech capacity. Most recently, she was the Vice President, People and Culture with T4G Limited one of the largest privately-held IT firms in the region with clients throughout North America. Cathy is a leader in the movement to use technology and innovation to drive economic growth, create thriving communities and engage citizens. She champions this evolution as Chair of the New Brunswick Innovation Foundation, an independent, not-for-profit corporation that invests in new growth-oriented companies and applied research activities. Her current work is an extension of her role as one of the co-founders of PropelICT, Atlantic Canada’s original tech accelerator and she continues to mentor and advise start-up entrepreneurs in the region. She also sits on the board of Enterprise Saint John. In 2015, she decided to follow her own advice and create her own company, a social initiative called Up+Go, that delivers leadership and self-discovery programs for high school girls introducing them to New Brunswick women who are doing extraordinary things particularly in the areas of STEM, entrepreneurship, and leadership. She began her career at NBTel and Innovatia where she helped launch Canada’s first IPTV service and other innovative consumer products. Cathy is a graduate of F.C. Manning School of Business at Acadia University and lives with her family in Rothesay, NB. Brent is the Director of Business Development at NB Power and part of the founding group of smart energy business leaders who created the Smart Grid Innovation Network in 2015. Serving as CEO of NB Power since February 2010, Gaëtan is a committed industry leader and agent of change, driven by his deep connection to customer and employee grassroots. 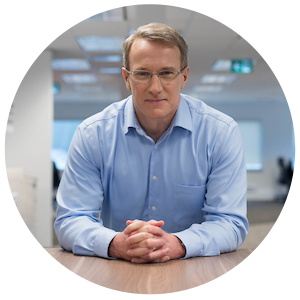 Prior to his role new role as Chief Digital Innovation officer, Brad was a Director of NB Power's smart grid program and also the Director of Product Development. Brad joined the utility in 2013. Prior to NB Power Brad focused on management consulting for most of his career. He jointly founded Business Bridge Inc. in 2004 and provided consulting services to clients in Ontario and the Atlantic Canada. Brad also worked with Fujitsu Consulting, where he was the IT Service Management (ITSM) Service Lead for Fujitsu Consulting’s Ontario-Atlantic geography in 2003 and a Solution Architect with their national organization (excluding Quebec) in 2004. 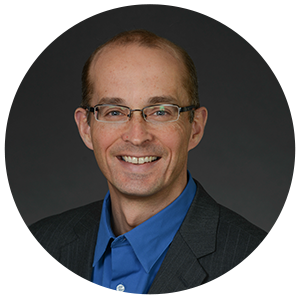 Brad has specialized in strategic planning, program and project portfolio management, delivery of IT Service Management engagements, and corporate knowledge management. He has delivered engagements in the private, crown corporation and public sectors. Prior to working with Fujitsu, Brad worked for Hewlett-Packard. In addition to ITSM consulting while at HP, he worked as a service developer for the worldwide ITSM team. He also spent over two years as one of HP Consulting’s global knowledge managers, earning a global award of recognition for his work. Among his ITSM work has included the development of service planning and service level management strategies that help transform an IT organization to being able to deliver business-valued services. While with Fujitsu Consulting Brad pioneered work in the integration of Business-Valued Services and Enterprise Value Management strategies. Brad has done extensive public speaking on utility business transformation, IT service management, knowledge and value management, and career development. He has also conducted workshops on service management and has written white papers on various aspects of service management and value management. In his role as a Managing Director in Navigant's Energy practice, Rob leads the global utilities client segment and serves on the Energy practice leadership team. He also supports the firm's growth with a focus on senior client relationships, engagement delivery, and industry thought leadership. Since starting his career 33 years ago, Rob has worked exclusively in the energy industry and brings a unique combination of technical knowledge and business strategy experience. On a global basis, Rob has often advised energy clients in achieving increased efficiency in strategic and master planning, operational effectiveness, grid automation, and technology strategy and implementation. He also supports utility strategies seeking new revenue growth and business expansion. In addition to utilities, Rob has also developed growth and market entry strategies for competitive retail energy firms, equipment suppliers, private equity firms, government agencies and municipalities, and industry policy groups. Rob began his career with an 11-year stint at Florida Power & Light (FPL), where he managed State-wide energy efficiency programs and developed technical expertise in planning, designing, and overseeing construction of electric distribution facilities. Following FPL, Rob worked for the Electric Power Research Institute and then with Accenture. More recently, Rob applied the past 12 years of his career with KEMA (now DNV GL), where he was responsible for achieving growth, profitability, and operational performance objectives as managing director for the Americas, and as global director for all management and operations consulting. He developed KEMA’s grid modernization advisory unit, overseeing expansion into one of the more successful practices within KEMA, but also positioned the firm as a respected market leader in this domain. He also co-authored KEMA’s first book, Utility of the Future: Directions for Enhancing Sustainability, Reliability and Profitability. Rob was recognized as one of the top 25 consultants in the U.S. by Consulting Magazine in 2009. He has also been cited as one of the Networked Grid 100 Movers and Shakers of the Smart Grid by Greentech Media in 2012, as well as participated in President Obama’s Council on Jobs and Competitiveness in 2011.